Robots are becoming an increasingly hot topic. The idea that, in the next 20 years or so, industrial manufacturing or other tasks might be completely handled by robots has caused politicians and companies to start mulling over the consequences. Universal basic income is just one of the options many countries are now having to seriously consider. It seems like no industry is free form the steely grasp of robotics either – while things like industrial scale manufacturing and transport might be obvious sectors for automation, there is almost no limit to where robotics or AI can be applied. Sales and customer service are both slated to be almost 100% run by automation by 2020 according to some commentators and the gambling industry is likely to see some changes too. We've already seen the effect that live casinos and mobile casinos have had on the gambling industry as mobile gaming continues to overtake traditional gaming. It's been a huge success – while access to games has massively increased on a global scale (where you can now enjoy live casino games with real croupiers and dealers over a live stream), it's also allowed gambling operators to slash their costs. Running a virtual or live online casino is much less expensive than the real thing of course and that means more profit. Having said that, real life casinos are still hugely popular and hugely profitable. It seems that for many the whole experience is something that simply can't be recreated remotely after all. But what if the dealers and croupiers themselves could be automated? This could certainly be in the interests of a casino for a number of reasons. Firstly, it would be a novelty (for a limited time admittedly), which in itself would likely attract more customers. Secondly, a robot croupier is never going to try and fleece the casino, get angry with players, get tired, or need a wage. As it turns out, someone has already thought of this. Hong Kong tech firm Paradise Entertainment, which also makes gaming machines, has created the first robot croupier prototype: Min. What's more, this isn't even a new development. Min was introduced to some casinos in Macau and the US in 2016. At the time of introduction, the robot was able to deal cards only and that still seems to be the case. The aims are much higher of course. The goal of Paradise Entertainment, and now no doubt many other potential robotics and gaming companies, was to create an automated croupier that can read and react to players' facial expressions, communicate in different languages and even prevent cheating through the use of scanners. It all sounds very impressive, but we're still not quite there yet. For starters, the fanfare over Min and the use of robot croupiers seems to have died down for now. 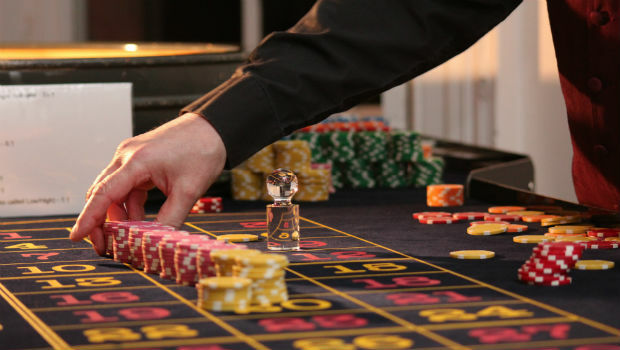 Additionally, the technology doesn't yet exist, at least affordably, for casinos to introduce robot croupiers cost effectively, which brings us on to the next point. Almost all robotics development is driven by one thing: saving money. This is just as true for the gambling world. As mentioned, a robot croupier could save casinos huge amounts of money, but currently they're nowhere near cost effective. There's another interesting incentive for the development of these machines though and that's that it would allow some casinos to circumvent laws against having dealers. Currently, robots aren't even considered in legislation, which could make for a dangerously grey area going forward if we're not careful. Will the casinos of the future contain robots? Almost definitely, but it's also just as likely we'll still see the art of the croupier stay in (mostly) human hands for some time yet. This isn't only because of current costs though – there's undoubtedly something about the social interaction of casino gaming that forms an important fabric of the experience. It's possible that we'll instead see a mix of both robotic and human dealers and staff, with perhaps more automated casinos becoming the cheaper option as the tech becomes more cost effective and widely available. Of course, having robot croupiers also opens up a whole new security nightmare for casinos too. How will they be connected to the casino network? Will be they safe from hacking or tampering?